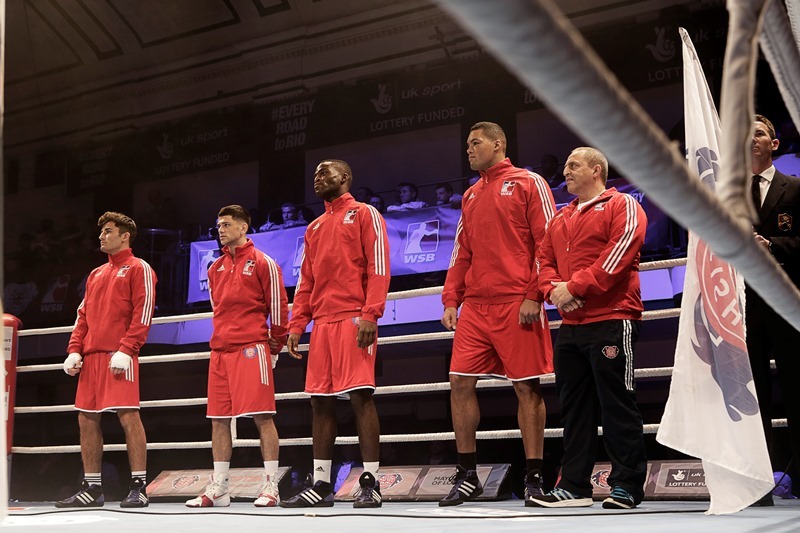 British team secure home advantage and will face Ukraine, China or Cuba on 21 and 22 April at York Hall. The British Lionhearts have been confirmed as the winners of Group B in the World Series of Boxing (WSB) and will box at home in the quarter-finals of the competition. The news follows a decision by the WSB Board to award a draw for last week’s fixture with the Morocco Atlas Lions which had to be cancelled when four members of the Moroccan team were refused visas to enter the UK following an assessment of their application by the Home Office. The awarding of a draw and X points to both teams means the unbeaten Lionhearts have an unassailable lead in Group B and will finish the regular season top of the table and secure a home fixture in the quarter-finals, regardless of what happens in the team’s final match away to the Mexico Guerreros on Saturday 2nd April 2016. The Lionhearts’ quarter-final will be against the team that finishes second in Group A and means the British team can expect to face the Ukraine Otamans, China Dragons or Cuba Domodores in the last eight. The quarter-final matches will be held at York Hall on Thursday 21st and Friday 22nd April 2016 when there will be five bouts each night. Anyone that purchased a ticket for the Morocco match will be eligible for a refund or to switch the ticket to one of the quarter-final matches. The British Lionhearts will be contacting all of those who purchased tickets for the Morocco match in the coming days to arrange a refund or switch the ticket. Tickets for the quarter-finals are on sale now at tickets.sky.com/Boxing/World-Series-of-Boxing. Advance tickets start at £15 and a ticket for both nights is available priced £26.50.